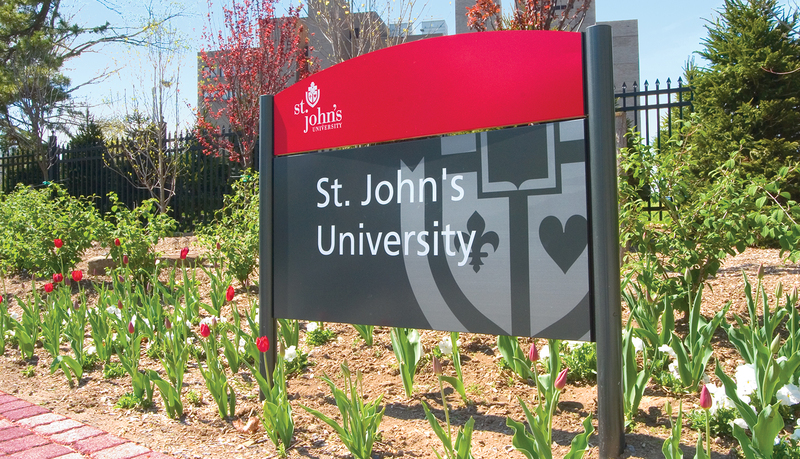 St. John’s University is one of America’s leading academic institutions — recognized for its outstanding programs, rich student life, and vibrant diversity. 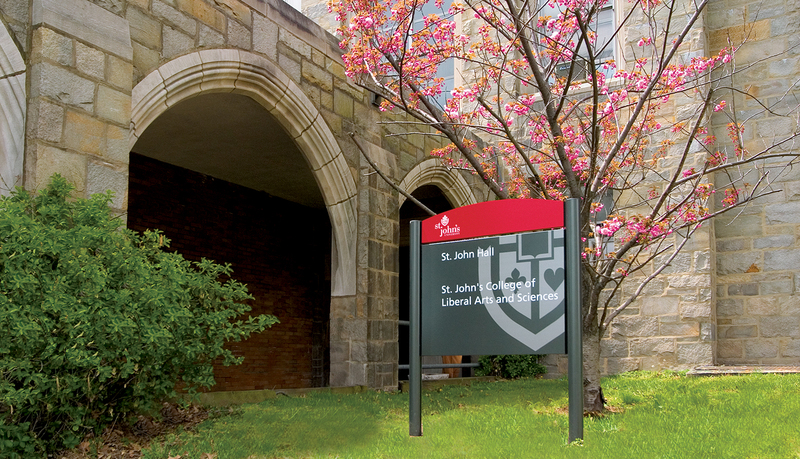 St. John’s University re-branded its image to a more upscale identity that ties in its unique historic heritage. 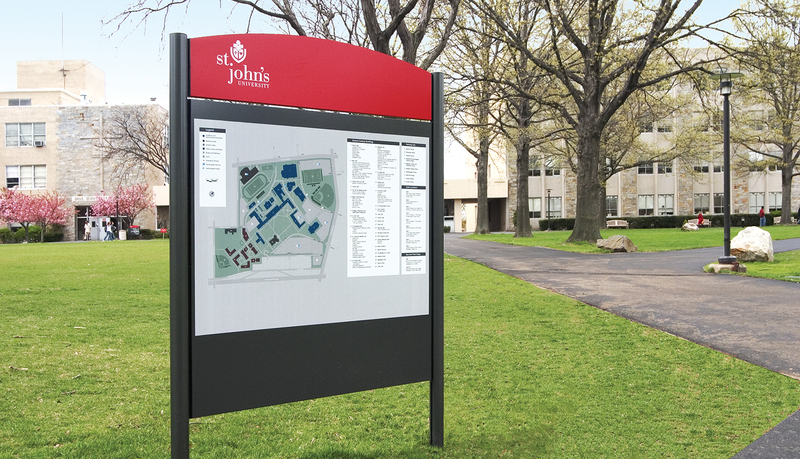 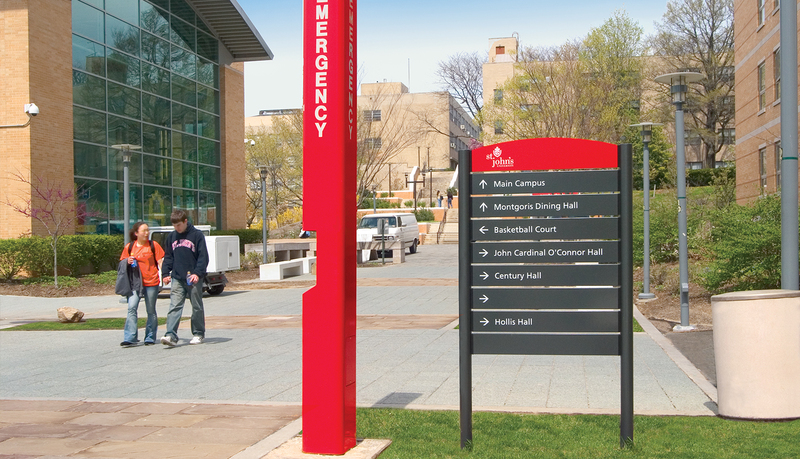 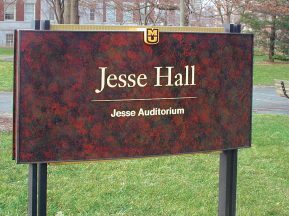 To support the change in brand identity, new interior and exterior campus wayfinding solutions were installed at the Queens and Staten Island campuses in New York. 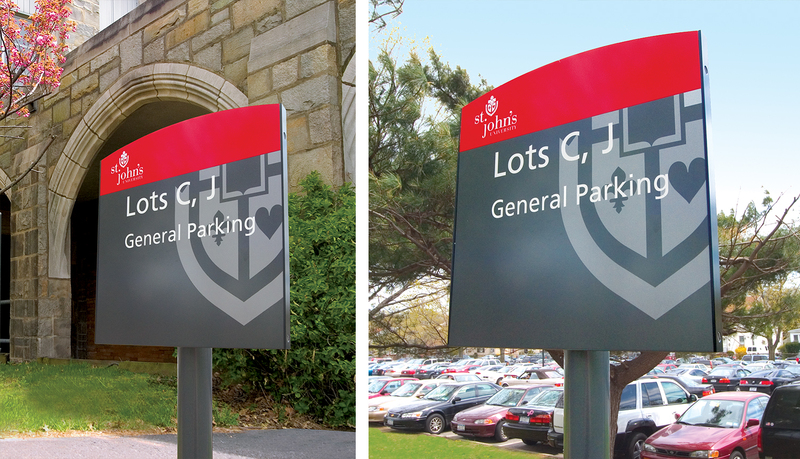 In partnership with BrandLogic, ASI implemented SignPlan™ — an innovative, analytical planning solution — to evaluate demographic requirements, regulatory guidelines, traffic flows and key navigational decision points across both campuses. 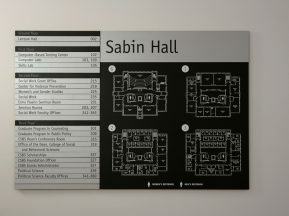 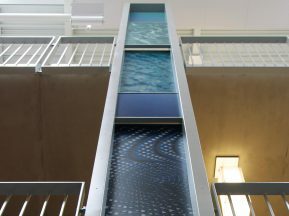 The findings were used to create a wayfinding solution that improved the navigation and traffic flow throughout both campuses. 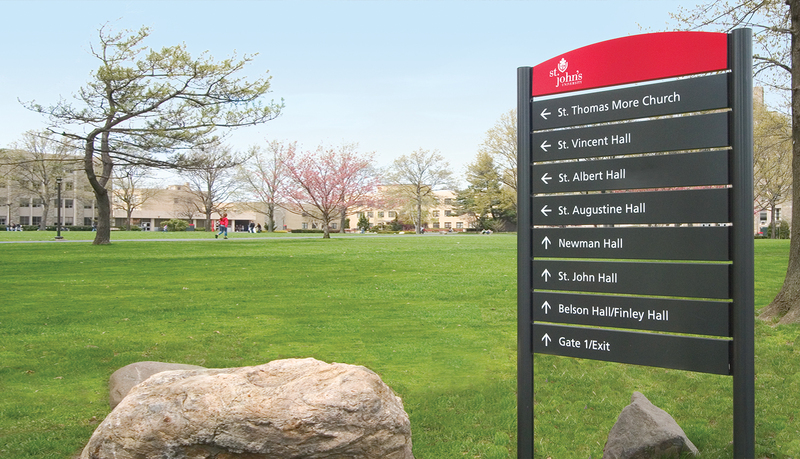 Compass™ was innovatively enhanced by the addition of a custom-designed arched top, which paid homage to the traditional design of the university. 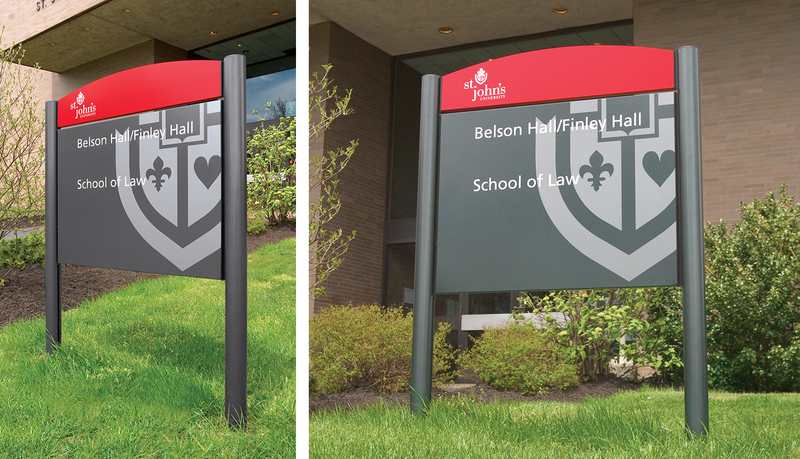 The final solution tastefully integrated the St. John’s logo and crest into the overall design of every sign on campus. 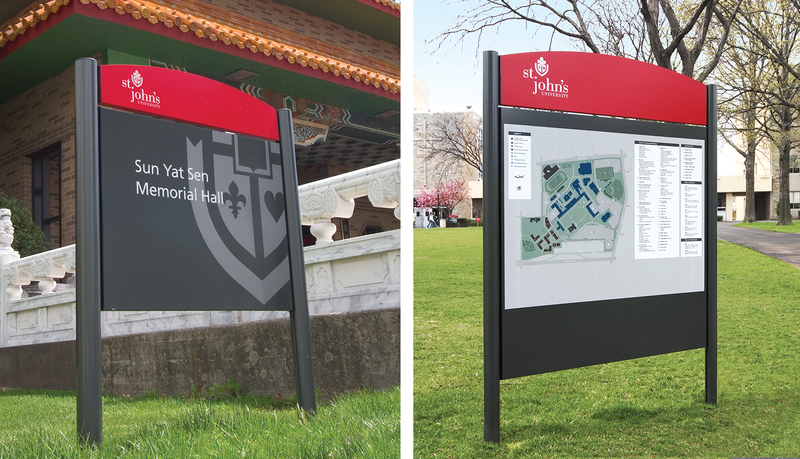 The signs look great; you see them without them dominating the landscape. 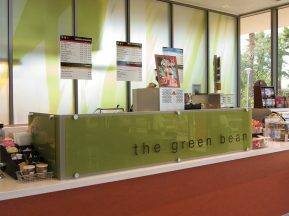 Positive feedback all around, people definitely notice them and the difference it’s made.